Cadet Rifle School Individual Badge- Jetton. The school was established in 1864. 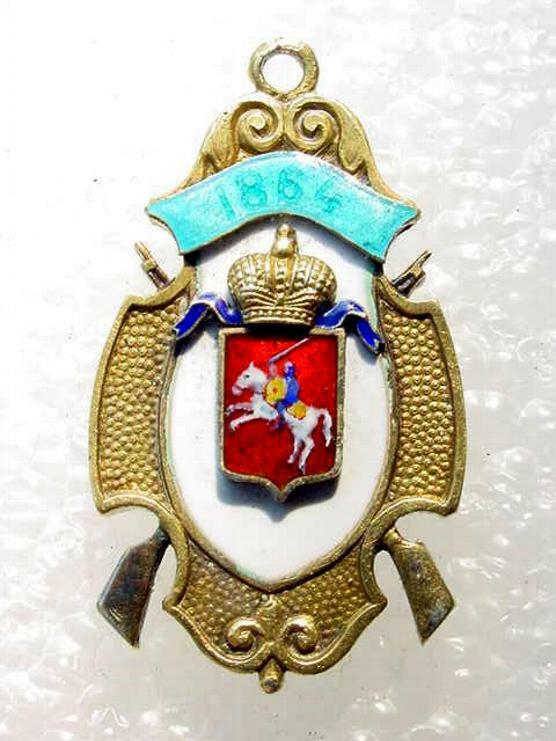 On front of the badge is a Russian Imperial crown with St. George and the year 1864. 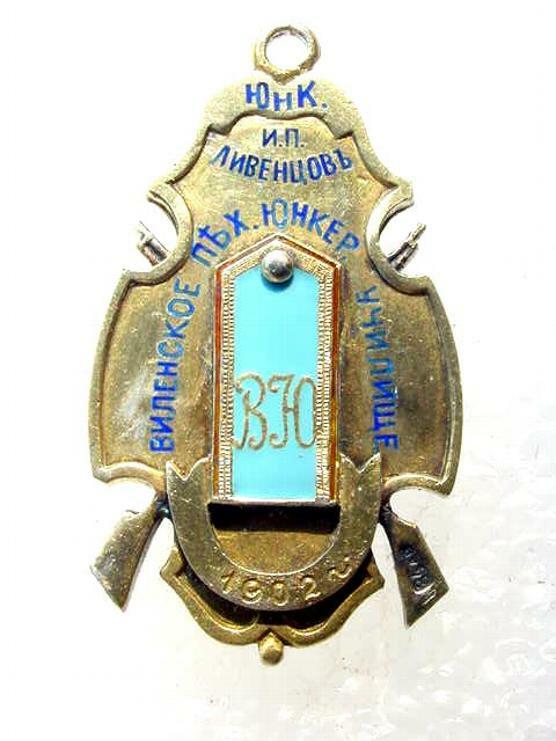 On the reverse," Vilenskiy Rifle Yunkers Military School". The year of the graduation is 1902 ,and the name of the recipient " I.P. Liventchov ". Size: 37 mm and heavy. Original and rare individually named item.